If you have a few old hard drives lying around and would like to put them to better use. Or just fancy replacing the plastic case of your current hard drive with something a little more natural. 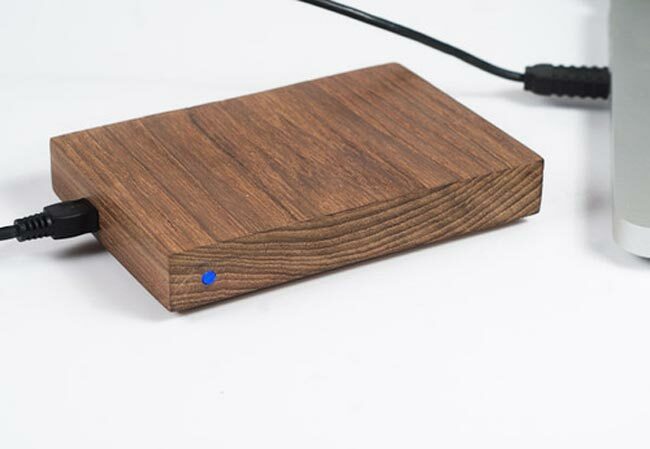 Lifehacker reader Mike Osbourne can guide you through the process with his, DIY wooden hard drive enclosure tutorial. Materials : – Teak Plank; 1″ thick, 1/8″ Ply, Perspex, wood glue. Tools : – Callipers, Square, Pencil, Miter Saw, Hacksaw, Router, Drill, Needle Files, Sander, Hammer, Chisel, Sandpaper..
Mike used a WD Passport drive that already had the USB and SATA connection already installed in the drive. To vire the full guide check it out over at Lifehacker.